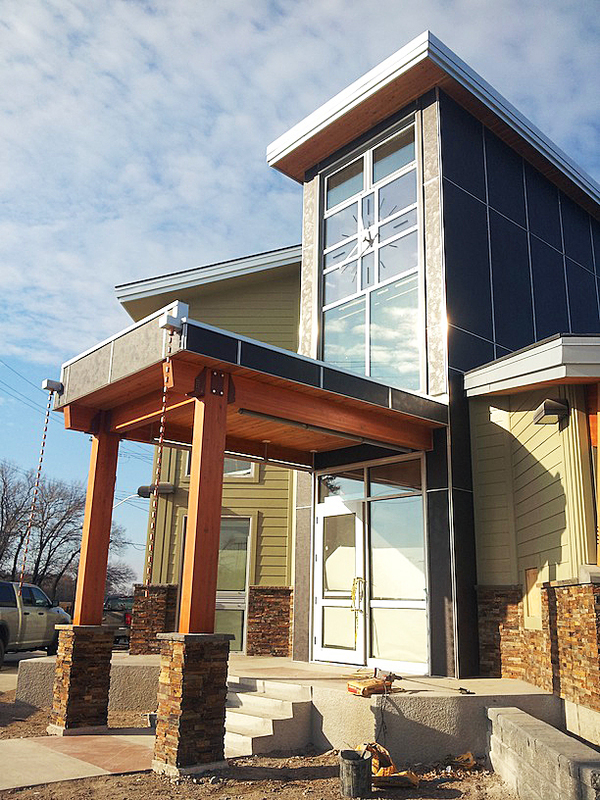 Prairie Mountain Credit Union | prairie architects inc.
Prairie Mountain Credit Union (now Sunrise Credit Union), is a 2 storey commercial building in downtown Ste. Rose du Lac, Manitoba. Built on the corner of Manitoba Highway 276 (Central Ave.) and Gendreau St. the building siting takes advantage of the cross street acess, with its main entrance located at the corner. One wing contains offices for financial staff and the North wing is the public teller area. The second storey houses the mechancial room and an additional meeting room.